Going to the metro station for Sakura Matsuri this weekend, I kept witnessing the one activity that makes me fearful of driving. People using on their cellphone while driving. It was the same during the previous 2 months when Oppa and I were driving between Maryland and Delaware. 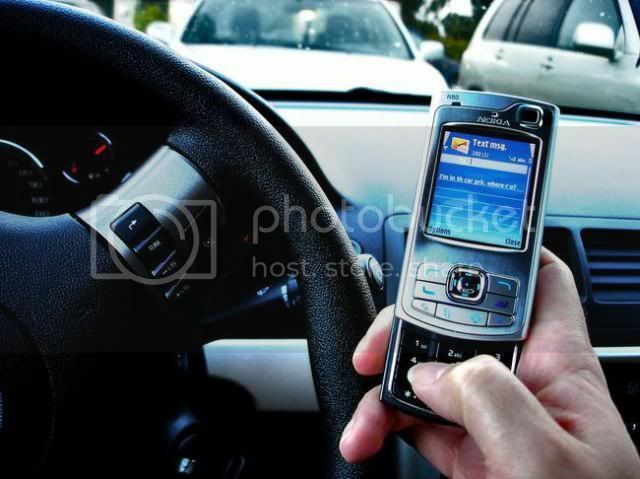 In Maryland and Delaware, it is illegal to use a cellphone while driving without a hands free device. But during my many road trips, I witnessed plenty of drivers texting and chatting with the phone to their face. I do not have a need to enforce the law or a real care for what most people do while in their cars. It is just that these people are slowing traffic, swerving into other lanes, or tailgating more then the average driver. There was one instance when one of these law breakers almost grazed the side of Oppa and my car. I would have been severely cross if that woman would have hit us. According to the CDC in 2011, 3,331 people were killed and 387,000 people were injured in crashes involving a distracted driver. They calculated that that is more than 9 people killed and 1,060 injured each day in the United States alone! Honestly, what is so important that someone cannot put their phone away for 10-20 minutes so they can drive from point A to point B? Or if one is so addicted to the internet, social media, or texting that they must be permanently looking at a cell phone why not have someone else drive? Why are people so desensitized to the fact they they are in control of 1+ ton metal object moving at rapid speed? I wish there was a way to report these nuisances. Maybe an app that a passenger could take a picture of a driver using a cellphone and their license plate. The app could be linked to the police or motor vehicle departments. Then after 3 reports your license will be suspended for 6 months. I definitely think that suspensions would be more of a deterrent than the current $40-$500 fines. If any more offenses are reported the suspension could be extended for a year or permanently. But unfortunately taking a picture of someone in Maryland without their permission is also illegal. This! This exactly! Maybe it's because I live in New York, and the public transportation is so good that no one needs a car, really (neither I nor any of my close friends and family here drive or have cars at all)... but I'm just astounded by how a lot of people don't realize how dangerous cars are. Take anything people are more afraid of, more people die and get hurt in car accidents than any of it. People don't have to give up their cars, they should just be more aware. It's an instinct to think of what's more familiar as safer, but like so many other instincts, that doesn't apply well to the modern world. Actually what amazes me is how they are still be able to drive around without hitting anything while texting.